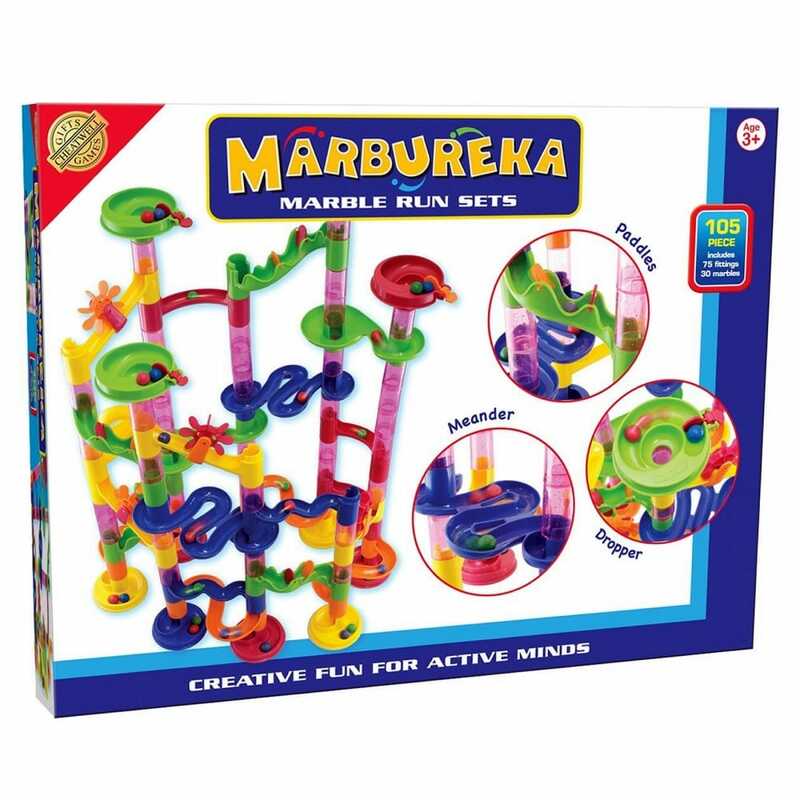 Marbureka from Cheatwell Games is the fun and fascinating marble run kit for the whole family. All of the pieces slot together including spirals, chicanes, windmills, droppers and even a loop the loop to create the ultimate marble course. You can copy the design on the box, or make your very own creation - the choice is yours. Building the marble run encourages a child's imagination and problem solving skills, whilst during construction they use fine motor skills, along with sequential and logical thinking.